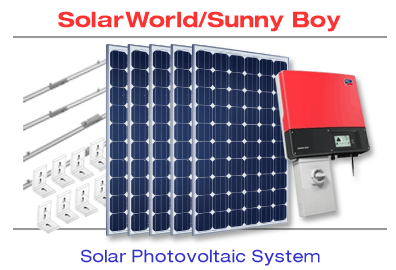 Solar Electric Kit with Solar World SW285 PV Modules and Sunny Boy SB5000TL-US Inverter, Grid Connect System. Package includes the major components for installation as outlined above plus Unirac, PCM or similar Module Mounting hardware for standard shingle roof. The Balance of System [BOS] components may be purchased separately a la carte, as a package when purchased with the Engineering option, or may be supplied by the installer. Level 1 - Basic Engineering. System Electric String Sizing must be verified for each specific zip code to ensure that over-voltage does not occur during low temperature conditions; severe damage can occur to the inverter if not properly sized. Wind loads must be determined for proper mounting hardware spacing; you must provide a basic system layout to our engineering department in order to verify spacing requirements. This service is provided with the basic kit purchase. Level 2 - Custom Engineering. Engineering Design is available as an option. This service includes a custom design for your specific residential application [commercial systems vary, call for details]; our engineers work together with you and/or your installer to design a system and determine a complete BOS component list. We supply site specific Electrical Schematic, CAD drawings and Engineering Submittals sealed by our Florida Professional Engineer [PE] ready for submission to the building department. Building Departments in other states may require a local engineer review and seal at an additional cost. Our Engineering Department and Installation Department will assist you with technical questions pertaining to your installation. Level 3 - Custom Engineering with Balance of System. This includes Level 2 Custom Engineering plus the Balance of System components; a custom tailored package of all components to complete the installation [except conduit]. Installation - These systems can be installed by the do-it-yourselfer, however, the wiring connections should be installed by a qualified electrical or solar contractor. Some rebate programs require a Licensed Contractor to qualify for the rebate. Solar Direct offers installation services in Florida and some other limited service areas. We can also work with your choice of contractors; please call for quotation. 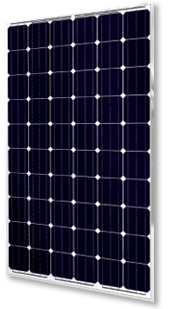 SolarWorld Sunmodule solar panels exceed international testing standards for proven quality. Solar World Sunmodule® - High-performance, Superior Quality, Made in America. As the largest and most experienced solar manufacturer in the USA, SolarWorld's Sunmodule solar panels are designed and manufactured to the highest standards of quality, performance and durability. 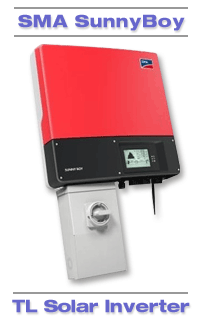 The Sunny Boy 5000TL-US represents the next step in performance for UL certified inverters. Its transformerless design means high efficiency and reduced weight. Maximum power production is derived from wide input voltage and operating temperature ranges. Multiple MPP trackers and OptiTrac™ Global Peak mitigate the effect of shade and allow for installation at challenging sites. The unique Secure Power Supply feature provides daytime power in the event of a grid outage. High performance, flexible design and innovative features make the Sunny Boy TL-US series the first choice among solar professionals. UniRac SolarMount® - Versatile PV mounting rail system with installer-friendly components for maximum flexibility. • For mounting on a single story AS shingle roof, with a wire run up to 100 feet to power Distribution Panel. Many states have additional financial incentives to be applied against solar equipment purchases. Please check your state's incentives online at www.dsireusa.org for details.